Stanley Balin’s mother died when he was six. His father, a Polish immigrant who worked in the Farrell Steel works, sent him to the Margaret Henry home for orphans, which occupied an old mansion on Friendship street. The house had been built by R W Cunningham, who had come to New Castle in 1836 and established a business forwarding wool, glass, iron and steel to the west. He grew prosperous and built a foundry, turning out ploughs, stoves, mill gears and, after the civil war, cast iron pipes for the new oil wells and machinery for industrial plants. He backed the New Castle and Beaver railway, which secured New Castle’s future as a steel town, and was one of the founders of the International Bank of Lawrence County, which gave the town control of its finances. After he died, close to the end of the nineteenth century, his family sold his iron manufactories to US Steel, which soon came to own almost every industrial concern in the city, and gave his house, with twenty-seven rooms and acres of land, to a Catholic society to use as New Castle’s only orphanage. The home had been open for over twenty years by 1929, when Stanley enrolled. It had a good reputation. Its children were clean and educated and were known to be able to secure decent employment and do well later in life. Very few ever troubled the police. By the winter of 1936, just before his eighteenth birthday, Stanley and a group of southside boys—none from the orphanage—had begun to rob drunks and old men walking home late at night from the bars on Long avenue. Most of the victims were easy marks, but they had beaten a few badly enough to put them in hospital. Just before midnight on the seventh of March, they saw a drunk staggering down Jefferson street. When he stopped to lean against a telephone pole by an alley, they crossed over to him. They cursed at him and he answered back. When they attacked him, the drunk grabbed Stanley by his shirt, drew a blackjack and struck another boy on the shoulder, then pulled out a gun and said, “Someone’s going to get hurt, and it won’t be me.” A plainclothes detective ran out of the alley. Someone shouted, “Here comes the law.” The group fled, leaving Stanley behind. The drunk was the chief of police, John Haven, setting himself out as bait. Stanley was taken to the station, where he co-operated and signed a confession naming the other members of the gang, who were arrested a few hours later. Four boys, including Stanley, were found guilty of assault and battery with intent to rob. Only three were sentenced to jail, each receiving one to three years in the Western penitentiary. Stanley was not among them. Stanley went to work with a furniture manufacturer and trained as an upholsterer. 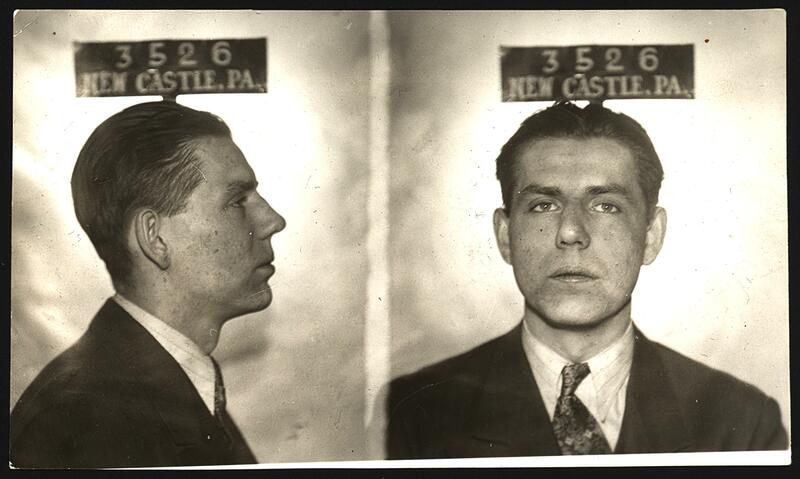 In January 1941, he was arrested in South Mercer street for disorderly conduct and fined $10. That spring, he joined the army. Japan attacked Pearl harbour seven months later. After the war, Stanley moved to Uniontown, south of Pittsburgh. His father, who had remarried, died in 1948. Stanley eventually retired to Florida, where he died in 1997, at the age of seventy-nine. Sources: New Castle News (30 March 1904, “Has Removed To Cunningham Place”; 18 April 1906, “Transfer Made”; 18 Dec 1922; “JPH Cunningham Dies At Home Here”; 18 Aug 1924, “Deaths Of The Day”; 21 Aug 1928, “Rotarian Guests Enjoy Scout Camp”; 29 Aug 1934, “SS Board Of Trade Junior Team Victors”; 9 March 1936, “Posing As Drunk, Police Chief Haven Makes Arrest”; 10 March 1936, “Hearing Thursday For Quartet In Police Chief Case”; 13 March 1936, “Four Are Held After Testimony By Police Chief”; 9 June 1936, “Haven Tells How He Fooled Gang Out To Get Him”; 11 June 1936, “Haven Assailants Are Found Guilty”; 20 Feb 1937, “Three Sent To Penitentiary”; 11 Nov 1936, “Seventy Three Take test To Operate Auto”; 27 Jan 1941, “Pool Room Arrests”; 7 Sep 1948, “Deaths Of The Day”). My favorite thing about your blog is how you give some historical context for every mug shot. Great job!